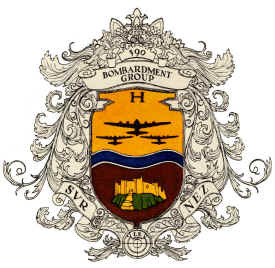 On 26 January 1943, the 390th Bombardment Group (H) was activated on General Order 14, issued by Headquarters second Air Force, Fort George Wright, Washington. 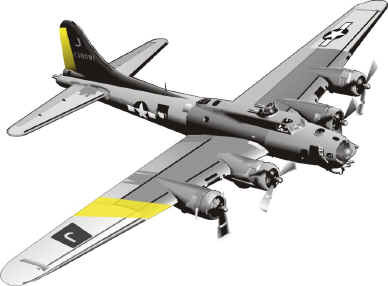 During the next thirty-one months, the 390th would deploy to England, fly 301 missions, dropping 18,755 tons of bombs, destroying or damaging 454 enemy planes with another 57 probable destroyed. These war- time achievements come with a price for both men and machines. 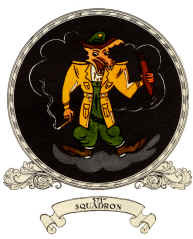 Only fifteen of the original thirty-five flight crews returned home. Prepared for combat with B-17's. Moved to England in July 1943 and assigned to Eighth AF. Operated chiefly against strategic objectives, flying many missions with the aid of pathfinders. 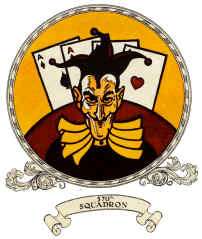 Began combat on 12 Aug 1943. Five days later attacked the Messerschmitt aircraft complex at Regensburg and received a DUC for the mission. Received another DUC for a mission on 14 Oct 1943 when the group braved unrelenting assaults by enemy fighters to bomb the antifriction-bearing plants at Schweinfurt. Participating in the intensive Allied assault on the German aircraft industry during Big Week, 20-25 Feb 1944, the organization bombed aircraft factories, instrument plants, and air parks. Other strategic missions included attacks on marshalling yards at Frankfurt, bridges at Cologne, oil facilities at Zeitz, factories at Mannheim, naval installations at Bremen, and synthetic oil refineries at Merseburg. Sometimes flew interdictory and support missions. Bombed the coast near Caen fifteen minutes before the landings in Normandy on 6 Jun 1944. Attacked enemy artillery in support of ground forces during the breakthrough at St Lo in July. Cut German supply lines during the Battle of the Bulge, Dec 1944 - Jan 1945. Hit airfields in support of the airborne assault across the Rhine in Mar 1945. Flew last combat mission on 20 Apr 1945. Dropped food supplies to the Dutch during the week prior to V-E Day. A personal note here, it is to the people not only in the 390th but all allied forces in WWII that has my and my descendants thanks. Also, to the people who fought and won a cold war. While rock stars sang to give peace a chance you made it happen. 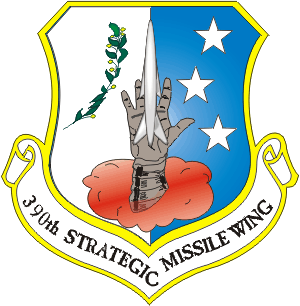 In 1962 the Chief of staff of the United States Air Force (General Curtis LeMay), as a measure of appreciation to the former 390th Bomb Group commanding officer, designated a new wing of Titan II missiles at Davis-Monthan Air Force base as the 390th Strategic missile wing. 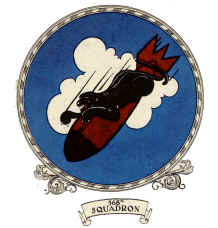 Established as 390th Bombardment Wing, Medium, on 23 Mar 1953. 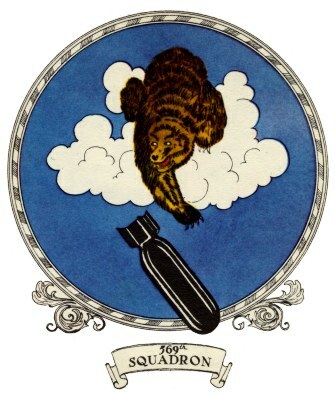 Redesignated 390th Strategic Missile Wing (ICBM  Titan), and activated, on 28 Nov 1961. Organized on 1 Jan 1962. Strategic Air Command, 28 Nov 1961; 12th Air (later, 12th Strategic Aerospace; 12th Strategic Missile; 12th Air) Division, 1 Jan 1962  1984. 390MIMS: 1 Jan 1962 - 31 July 1984. 570th: 1 Jan 1962 31 July 1984. 571st: 1 May 1962  2 Dec 1983. 7 Dec 1971 Col Edgar A. Northrup, Jr.
15 Jul 1976 Col George Holt, Jr.
Missiles. Titan II, 1963  1984. *The data listed above is not complete, if you can help please e-mail me with the missing data.